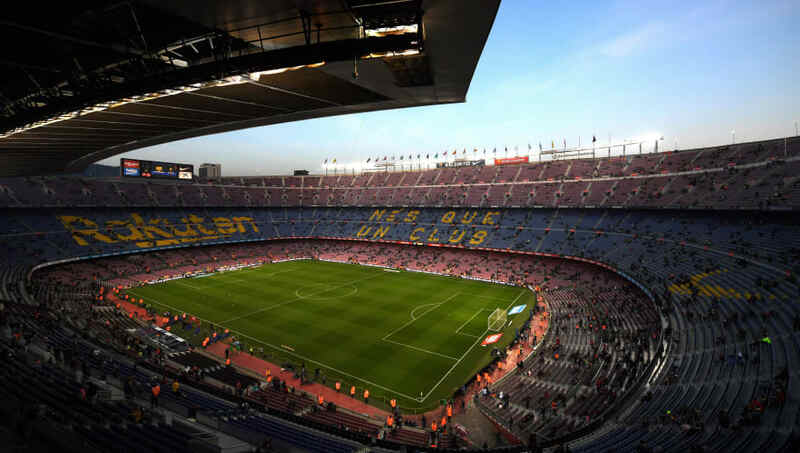 ​A supporter suffered 'light' injuries at Camp Nou on Thursday, after an accident involving a falling piece of roof during Bacelona's 3-0 Copa Del Rey win over Levante. A double from Ousmane Dembele and a strike from Lionel Messi saw the Spanish champions overturn a first leg defeat, but it seems as if the game was overshadowed for one supporter, as ​SPORT report that a falling piece of the stadium roof caused a minor incident. The incident occurred in area 334 of the stadium, in the home end, and the fan was attended to by Red Cross medics who quickly resolved the issue and determined that there were no major injuries. Club staff arrived on the scene shortly after to assess the damage to the stadium and prevent further issues occurring. Damages to the roof and injuries to supporters aside, it was a successful evening for ​Barcelona, as they ​ran out comfortable winners to turn Levante's 2-1 lead from the first leg on its head. A quickfire first half brace from Dembele set the foundation for Messi to put the icing on the cake shortly after the break, and ensure the Catalan giants remain on course to reclaim the Copa del Rey trophy. They find out who they will face in the quarter finals at 16:00 GMT on Friday, with ​Real Madrid and ​Sevilla also in the hat.